We work with all major manufacturers to supply an extensive range of video conferencing and audio visual brands. We have gained accreditation with all leading suppliers and continue to build relationships to benefit our customers and offer a ‘best fit’ technology solution. 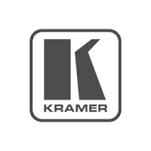 We believe in delivering the right solution to meet our customer requirements. In order to do this, we maintain a vendor-neutral approach which ensures the customer always gets the best solutions for their requirements. Polycom believe in the power of bringing people and teams together―regardless of location―to create experiences that push the greatness of human collaboration forward. 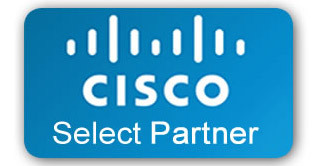 Cisco are the market leader in video collaboration technology. Their easy to use, dynamic solutions bring together dispersed teams enabling workers to connect visually and collaborate. Avaya is a recognised innovator and leading global provider of real-time business collaboration and communications solutions. 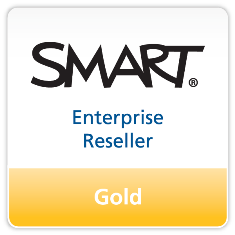 SMART is defined by innovation and their desire to improve the way the world works and learns and are defined by their customers – teachers, students and business people. Evoko are Swedish innovators dedicated to making meetings smoother, more cost efficient and stylish. They specialise in enhancing the meeting room experience through their range of products. Samsung Electronics has grown into a global information technology leader offering appliances including TVs, monitors, printers, refrigerators, and washing machines as well as key mobile telecommunications products like smartphones and tablets. 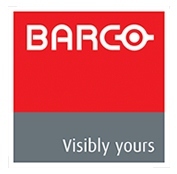 Barco designs and develops visualisation products – encompassing the entire visualisation spectrum – for a variety of selected professional markets: entertainment & corporate, healthcare, industrial & government, and defence & aerospace. NEC provides products for business, ranging from mobile terminals to network equipment, computer equipment, software products and service platforms. Panasonic have been providing better living for customers, always making people central to their activities and innovative electronics technology. Sedao manufactures digital signage and communications systems and was established in order to meet the strong demand for high quality digital signage applications. Wolfvision is a leading global developer and manufacturer of innovative systems for efficient knowledge transfer and is internationally renowned for universities and businesses use. Crestron is the leading provider of control and automation systems for homes, offices, schools, hospitals, hotels and more. AMX hardware and software solutions simplify the way people interact with technology. AMX solves the complexity of technology with reliable, consistent and scalable systems. Extron Electronics is a leading manufacturer of professional AV system integration products for today’s high tech boardrooms, presentation and training centres, university lecture halls, and other applications. 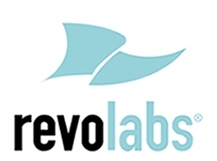 Revolabs is a premier provider of wireless audio solutions for unified communications, enterprise collaboration, and professional audio applications across a wide range of markets. Unicol is a leading manufacturer and supplier of LCD, Plasma and Projector mounting solutions including wall mounts, ceiling suspension brackets, trolleys, LCD stands and Video Walls. JM Supplies are specialists in designing, manufacturing and supplying high quality wood, perspex, stainless steel, and acrylic lecterns and podiums. TeamMate is a UK manufacturer and worldwide market leader for enclosure systems to professional integrations of AV & IT solutions. Dexon Systems is a developer and manufacturer of advanced video wall controllers for multi-screen video display projects.